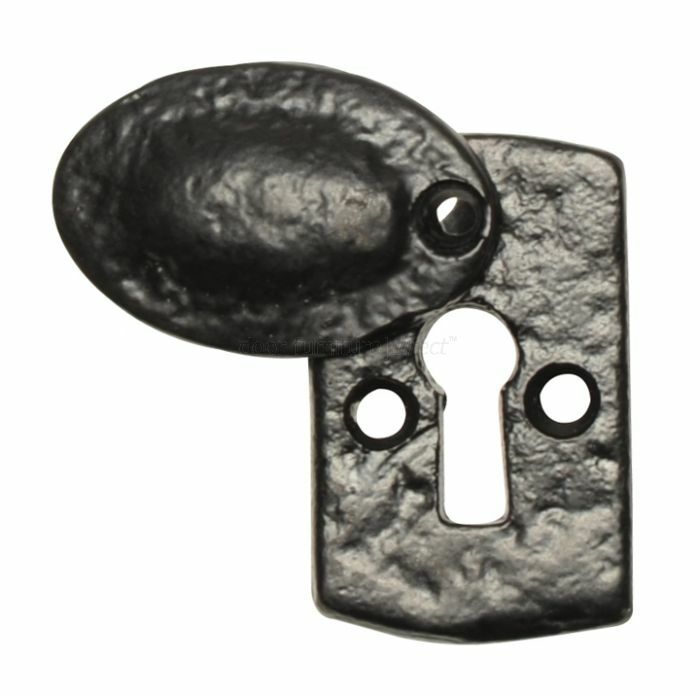 Black antique style rectangular shaped covered escutcheon. Used to cover a key hole cut out in a door. Overall dimensions measure approximately 44x30mm. Supplied complete with fixing screws.